Objective: The aim of the study is to observe the efficacy of everolimus in infants with significant CR. Materials and Methods: This is a single-center prospective observational study including infants with significant CR causing either clinical symptoms or obstruction to the blood flow. Everolimus was administered at a dose of 4.5 mg/M2/wk till the symptomatic improvement. Liver and renal function tests were monitored during treatment. Results: There were six cases of suspected CR included in the study. Median age and weight of patients were 5 days (range: 1–90 days) and 3.2 kg (range: 2.2–4.5 kg), respectively. One patient was excluded after surgical excision biopsy during concomitant closure of associated large perimembranous ventricular septal defect confirmed it as a fibroma. The remaining all five cases showed regression of tumor during mean follow-up of 6.1 ± 5.1 months. One child developed varicella infection necessitating temporary discontinuation of medicine during follow-up. One case had sudden death at 4 months of age. Conclusion: Everolimus appears to be useful in selected cases of symptomatic CR. Multicentric studies are needed to determine its safety and efficacy in larger population. Cardiac rhabdomyoma (CR) is the most commonly diagnosed tumor found in utero and pediatric age group constituting 45%–80% of all primary cardiac tumors. Generally, rhabdomyomas are multiple, well circumscribed, and noncapsulated, but 10% can occur as single intramural or intra cavitary mass. They often show spontaneous regression and need only close follow-up. CR producing valvular interference, conduction disturbance, or heart failure needs treatment. However, surgical management carries risk. Tuberous sclerosis complex (TSC) is an autosomal dominant disorder and commonly associated with CR., The majority of patients with tuberous sclerosis have inactivating mutations in either TSC1 (9q34.3) or TSC2 (16p13.3) gene, resulting in constitutive activation of m-TOR (mammalian target of rapamycin), a protein when activated is responsible for abnormal proliferative cellular response and cell activation causing hamartomatous lesions in heart, brain, and kidneys. It has been appreciated that m-TOR inhibitors, inhibit this action and decrease the abnormal proliferation. There are few case reports of everolimus usage in CR.,,,, We report our experience of everolimus in managing CR. It is a single-center prospective study conducted from December 2016 to March 2018 in infants with significant CR. Approval from the Institutional Scientific Committee was obtained for the clinical usage of everolimus. Significant CR is defined as the presence of either clinical symptoms or obstruction to the blood flow demonstrated by transthoracic echocardiogram (TTE). Only infants with either single solitary or multiple rhabdomyomas were included in the study. Informed consent was obtained from parents after detailed discussion about the risks and benefits of the medication. Initial thorough clinical examination, chest X-ray, electrocardiogram (ECG), and TTE were performed. Size of the tumor, number, location, hemodynamic interference, and cardiac function were noted. Baseline liver and renal function tests were done. Everolimus was commenced in all eligible children with significant CR. Dose was started in daily divided dose of 4.5 mg/m2/week. Route of administration: The drug was diluted with water and taken into syringe and administered orally without touching mucosa. Parents were explained the dose, dilution, and mode of administration clearly. The first dose was given by the parents under the supervision of a doctor and then daily dose to be administered at the same time. Follow-up clinical examinations including ECG and TTE were done weekly for 4 weeks and then biweekly to see the response. Size of the CR, gradients at the site of obstruction, and cardiac function were noted on follow-up. There were six children (male: 5) in the study population. One case was excluded after excisional biopsy (histopathology revealed fibroma) for a nonresponding tumor and concomitant closure of large perimembranous ventricular septal defect. The median age and weight were 5 days (range: 1–90) and 3.2 kg (range: 2.2–4.5), respectively. Antenatal diagnosis of CR was done in three cases. Neonatal respiratory distress was the common presentation seen in all cases. One case had ectopic ventricular rhythm. Baseline characteristics and clinical response are summarized in [Table 1]. Regression was seen in all the five cases with hemodynamically significant CR. Case 1 developed varicella infection 6 weeks after the commencement of everolimus necessitating stoppage of medication for 4 weeks. In this patient, recurrence of right ventricular outflow tract obstruction (RVOTO) was noted after discontinuation of medication. The tumor size and RVOTO were completely resolved after recommencement of everolimus [Figure 1]. Case 2 had superior vena cava obstruction that regressed after 4 months [Figure 2]. Case 3 had severe left ventricular outflow tract obstruction due to CR. Rapid response was noted in 2 months. Cases 4 and 5 had multiple CR diagnosed antenatally, who presented with heart failure due to compromised right ventricular cavity [Figure 3]. Therefore, everolimus was started in the 1st week itself. Both the cases showed regression of the CR with improvement in symptoms. However, case 4 had sudden cardiac death at home after 4 months of treatment. The mean ± SD follow-up of 6.1 ± 5.1 months showed significant reduction of CR in all the five cases. 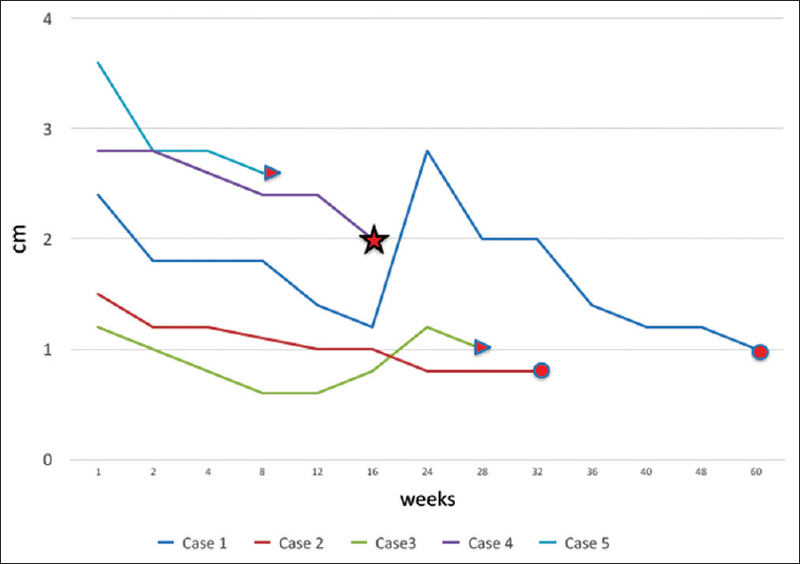 Treatment duration and clinical response of all cases are plotted in graph [Figure 4]. There were no complications related to the drug administration or systemic involvement. CR grows rapidly during fetal and neonatal periods due to maternal hormones and then slowly regress due to the withdrawal of maternal hormones. Hemodynamic compromise causing life-threatening complications are documented in some, during this rapid growth period. The surgical excision carries high risk in symptomatic CR due to young age and anatomical variability involving myocardium. Natural history of CR is encouraging. However, spontaneous regression is not seen in all cases. The index case (case 1) in our small cohort had severe RVOTO with right ventricular dysfunction and tricuspid regurgitation. We felt surgery was high risk and difficult as there were multiple lesions in different locations. Aw et al. reported 11.8 times faster regression of CR treated with everolimus compared to natural regression. Hence, everolimus was started in our index case, which showed regression of tumor from day 14 of therapy. Everolimus is an inhibitor of m-TOR protein which regulates cell proliferation. Its biological half-life is 30 h. Oral everolimus is absorbed rapidly and reaches peak concentration after 1.3–1.8 h. Steady state is reached within 7 days. It is metabolized mainly through CYP3A4 system (cytochrome P450 3A4). Most common adverse effects are stomatitis, upper respiratory tract infection, pneumonia, and gastroenteritis. At present, the common indications are (i) advanced renal cell carcinoma, (ii) targeted therapy in metastatic neuroendocrine tumors and breast carcinoma in postmenopausal women, (iii) prevention of organ transplantation rejection, and (iv) subependymal giant cell astrocytoma associated with TSC in patients who are not suitable for surgical intervention. In our study, low dose of 4.5 mg/m2/week in daily divided doses did not cause any serious adverse effects except in case 1 who developed varicella infection probably signifies the importance of immunosuppression while using everolimus. All cases had shown significant regression in terms of size of CR, gradients, and symptoms. One of our patients (case 4) with multiple large CR producing right ventricular cavity obstruction had sudden cardiac death presumed to be due to tumor effect or arrhythmia. We believe that everolimus should be given to all symptomatic cases of CR. However, close monitoring is needed to see the response and side effects of the drug. This study is a small cohort. Multicentric randomized studies involving large cohort are needed to see the safety and efficacy of everolimus. In this study, natural progression of CRs is not compared with modified natural history with everolimus. Everolimus appears to be safe and effective in hemodynamically significant CRs during infancy. However, close monitoring may be needed during the treatment to see the clinical response and adverse effects of the drug. Freedom RM, Lee KJ, Mac Donald C, Taylor G. Selected aspects of cardiac tumours in infancy and childhood. Pediatr Cardiol 2000;21:299-316. Bass JL, Breningstall GN, Swaiman KF. Echocardiographic incidence of cardiac rhabdomyoma in tuberous sclerosis. Am J Cardiol 1985;55:1379-82. Franz DN. Diagnosis and management of tuberous sclerosis complex. Semin Pediatr Neurol 1998;5:253-68. Stiller B, Hetzer R, Meyer R, Dittrich S, Pees C, Alexi-Meskishvili V, et al. Primary cardiac tumours: When is surgery necessary? Eur J Cardiothorac Surg 2001;20:1002-6. 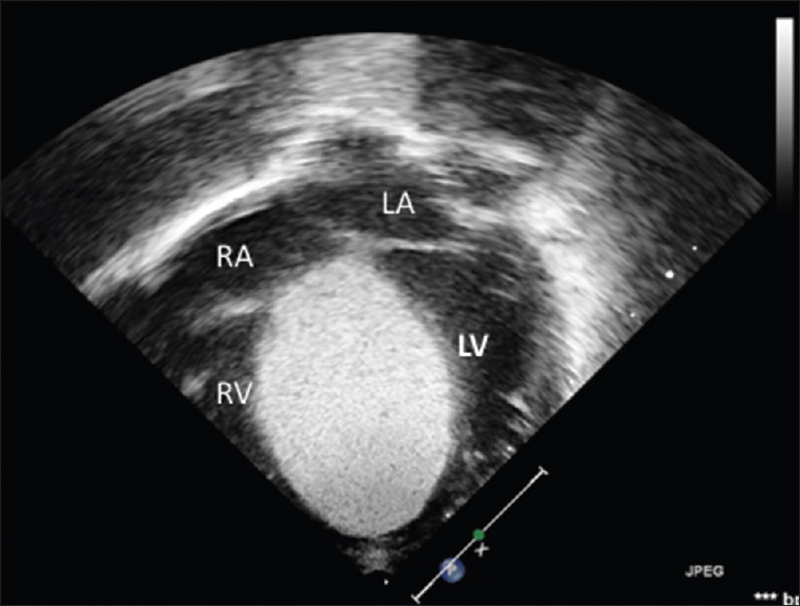 Tiberio D, Franz DN, Phillips JR. Regression of a cardiac rhabdomyoma in a patient receiving everolimus. Pediatrics 2011;127:e1335-7. Demir HA, Ekici F, Yazal Erdem A, Emir S, Tunç B. Everolimus: A challenging drug in the treatment of multifocal inoperable cardiac rhabdomyoma. Pediatrics 2012;130:e243-7. 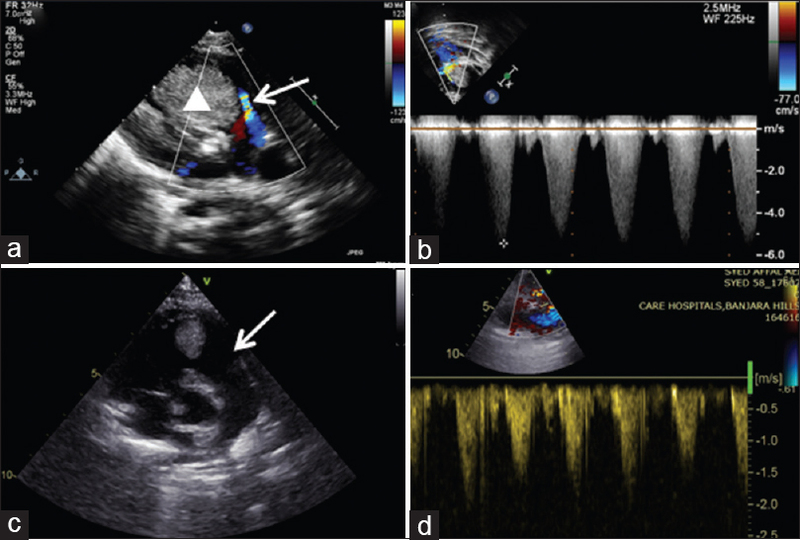 Mohamed I, Ethier G, Goyer I, Major P, Dahdah N. Oral everolimus treatment in a preterm infant with multifocal inoperable cardiac rhabdomyoma associated with tuberous sclerosis complex and a structural heart defect. BMJ Case Rep 2014;2014. pii: bcr2014205138. Doğan V, Yeşil Ş, Kayalı Ş, Beken S, Özgür S, Ertuğrul İ, et al. Regression of symptomatic multiple cardiac rhabdomyomas associated with tuberous sclerosis complex in a newborn receiving everolimus. J Trop Pediatr 2015;61:74-7. Aw F, Goyer I, Raboisson MJ, Boutin C, Major P, Dahdah N, et al. Accelerated cardiac rhabdomyoma regression with everolimus in infants with tuberous sclerosis complex. Pediatr Cardiol 2017;38:394-400. Jóźwiak S, Kotulska K, Kasprzyk-Obara J, Domańska-Pakieła D, Tomyn-Drabik M, Roberts P, et al. Clinical and genotype studies of cardiac tumors in 154 patients with tuberous sclerosis complex. Pediatrics 2006;118:e1146-51. Kirchner GI, Meier-Wiedenbach I, Manns MP. Clinical pharmacokinetics of everolimus. Clin Pharmacokinet 2004;43:83-95. Franz DN, Belousova E, Sparagana S, Bebin EM, Frost MD, Kuperman R, et al. Long-term use of everolimus in patients with tuberous sclerosis complex: Final results from the EXIST-1 study. PLoS One 2016;11:e0158476.